Bareksa.com is the first integrated online mutual fund marketplace in Indonesia, under PT Bareksa Portal Investasi which was established on February 17, 2013. This portal, in addition to providing a platform to conduct mutual fund trading online, also provides data services, information, and investment tools of mutual funds, stocks, bonds, and others, to facilitate the public to invest. Bibitnomic provides small-scale saving portals, bit by bit and invests those coin savings to some of the largest and most reliable investment managers in Indonesia. Brankas helps people manage money better. They provide software that automates account management, payments, and reconciliation, making it easier for consumers and businesses to manage their financial activities. 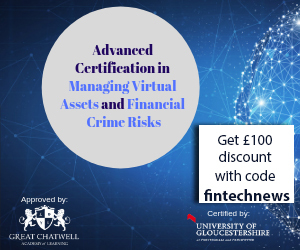 CashShield is an enterprise online risk management company that helps organisations manage their payment fraud risks and prevent hostile account takeovers. Uniquely powered by high-frequency trading algorithms combined with real-time pattern recognition and passive behavioural biometrics. Finansialku is a financial planner portal for individuals and families in Indonesia. At Finansialku.com, they help to realize your financial goals with proper financial planning. They provide a wealth of information and educational articles on finance, Financial Applications and financial planning seminars. Fundnel is a private investment platform that offers unlisted securities in growth and pre-IPO stage companies across industries to a qualified network of investors, comprising of both professional – corporate venture, private equity, venture capital funds, family offices, angel investor networks – and individually accredited investors actively looking to diversify their current portfolio. IndoGold.com is a company engaged in the gold trading of precious metals certified PT. Antam since 1978. Currently IndoGold.com site is serving the buying and selling of LM Antam gold, LM King Halim, LM UBS, silver LM HMVBullion, Silver SRH and Gold Savings service. Jurnal is a tech company delivering web-based accounting solutions for small to medium businesses. We simplify administrative processes to only the essentials. LiveOlive claims to be Indonesia’s pioneer of the finance-for-females tech space. The homepage includes advice posts on the basics of money management, an age-specific content section, home and auto loan calculators, and a money toolbox that features budget, retirement, and “unisave” widgets. Stockbit provides space for investors and traders to share ideas, news and other financial information in real-time. Users can create profiles and watchlist to follow certain stocks or investors to gain valuable information and exchange ideas. Tavest.com (the Company) is a legal entity incorporated under the Law of the Republic of Indonesia is a company not controlled by and / or under the supervision of the Financial Services Authority (OJK) in Indonesia. It is a one stop platform for your investments. Veryfund used to verify payment for your customers who pay by bank transfer method internet banking / ATM. Xdana Investa is your partner in investing. With the best investment products on the market, we help you to realize your investment goals. Xdana Investa provides online and offline services that you can easily get with a high level of comfort and security. PT AINO INDONESIA (AINO), a subsidiary of PT Gamatechno Indonesia, is an information technology company with a business focus on smartcard development and multi-issuer electronic money integration. PT AINO INDONESIA has national qualification standards with experience in the integration of electronic ticketing systems since 2007. Since 2012, AINO has matured the business to focus on receiving multi-issuer electronic money. PT Ayopop Teknologi Indonesia develops and provides a mobile application which provides bill payments. The application allows users to create a profile and load credit onto the account via credit card, bank transfer, and other payment options. It offers mobile credit top-ups and on-demand video. PT Ayopop Teknologi Indonesia was founded in 2016 and is headquartered in Jakarta, Indonesia. Bayarind is a payment gateway that allows users to make various payments, anywhere, and anytime. Bayarind is suitable for small to large e-commerce businesses and is designed to accommodate business to customer (B2C) and business to business (B2B) business needs. Bayarind accepts payments for product orderings, retail purchases to services from one easy-to-manage payment solution. Bebas Bayar is the solution to fulfil all your regular billing payment (PDAM, PLN, Phone, Pulsa, etc) needs, in a practical, easy and profitable way. Bebas Bayar is one of the services of PT. Bimasakti Multi Sinergi that has been certified ISO 27001 – Information Security Management. 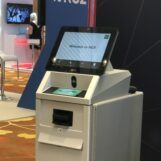 Cashlez is the first locally developed EMV card-present processor VAPN “value added payment network”, tailored for the demands by South East Asia’s largest economy. Established to bridge the huge gap between the number of cards in circulation in the country and the relatively low number of acceptance points by enabling small, under-served merchants to use its reader. Dimo Pay was previously known as FLASHiZ Indonesia. In March 2016, it launched its QR code-based, white label mobile payment app Pay by QR. The company claimed to have secured partnership with 150 retail outlets; it is also working together with Sinarmas Bank and startups such as HappyFresh and Orami. DOKU previously named PT. Nusa Satu Inti Artha is known as the first provider of electronic payment and risk management services in Indonesia. With the spirit of hard work and totality in supporting the online business needs of the merchants, DOKU is increasingly trusted and becomes the preferred electronic payment service for national and international merchants. Dompetku is an electronic money service provided for Indosat Customer to do financial transactions. Indosat recognized the opportunity to provide mobile money services to its customers in Indonesia and launched its Dompetku mobile wallet in 2008, on the back of the Electronic Money and Remittance license it acquired from Bank Indonesia. Duithape is a payment and remittance system through HP that runs across operators, across banks and across operational systems. Duithape aims to facilitate HP-based financial transactions for the majority of Indonesians who still do not have bank accounts; including those in remote areas not covered by banking services. PT E2Pay Global Utama was established in 2012 as part of PT Infinetworks Global with the proven relation, technology and trusted reputation in national banking. E2Pay offers a complete payment solution with payment range of up to 15 payment channels, connecting e-commerce business with hundreds of millions of banking customers and telecommunication customers in Indonesia. Easypay Indonesia being established in 2013 with the sole purpose of providing a secure cash payment service that reliably simplifies the everyday life of 250 million Indonesians. Easypay Points of Payment enable verified cash payments to be made instantly for a wide range of essential services. Apart from mobile phone, utility and remittance services, Easypay is a dynamic new platform to access online shops and purchase all the latest applications. PT. Successful Cross Payments (PLUS) was established in 2012 and is a subsidiary of PT. Square Gate One has more than 10 years experience in providing information technology infrastructure of financial transactions banking and Financial Supply Chain in various industries. Espay offers an e-commerce payment solution with the only B2C2B concept in Indonesia. The B2C2B concept addresses the needs of e-commerce payments from customers to merchants and from merchants to their business partners (suppliers, delivery services, etc.). PT. ETOBEE TEKNOLOGI INDONESIA is a crowd-sourced urban logistics delivery platform that connects individual users with the nearest courier available while offering corporates and businesses a logistics dashboard to track deliveries. The firm offers a web and mobile application for individuals and businesses to ship and collect any item across the archipelago with options for same-day, next-day, and regular deliveries available. The company was founded in 2014 and is headquartered in Jakarta, Indonesia. Faspay, PT. Media Indonusa is a subsidiary of Astel Group which was founded in 2003. We are as an organizer of the mobile e-commerce switching and payment gateway partners include mobile operators, financial institutions and merchants. We having a good reputation as a provider of managed services which is able to provide excellent service as a whole both technical and commercial facilities to provide ecommerce for the partners. PT. Finnet Indonesia was founded in 2006 in cooperation with several partnership built with the BNI for the implementation of Telkom Vision Online payment with host to host system. PT. Finnet Indonesia began to form a portfolio of products and further expand the cooperation of several partners and utilize the synergies of Telkom Group. PT. Finnet Indonesia has successfully expanded its services to deliver products to realize integrated payment system, with the aim to facilitate the community in conducting various electronic payment transactions. Flip is an application for inter-bank transfer at no cost. Flip has helped the people of Indonesia save billions of rupiah from the cost of interbank transfers.Flip is an application created by alumni of the University of Indonesia and is under the supervision of the Directorate of Innovation and Incubation UI. Fusion Payments deploys streamlined, modern online payments in developing markets. The platform allows purchase from a variety of funding sources including mobile wallets, points, prepaid, debit & credit cards. They aggregate the complexity of mobile payments and provide to users a simple, secure, delightful UX. GO-JEK (PT. Aplikasi Karya Anak Bangsa) is an Indonesian-owned and run technology start-up that specialises in ride-hailing, logistics and digital payments. GO-PAY is not only to pay for GO-JEK services but also available to help you with new features and products. In October 2017, GO-PAY transactions have contributed 30 percent of overall e-money transactions in Indonesia. INDOMOG is a provider of online payment solution with various methods of payment which allows users to conduct transactions online and the easiest payment solutions as a partner. INDOMOG provides payment solutions that cater for local culture and the Indonesian online buying habits and trends. Founded in 2008, INDOMOG has now launched MOGPlay, a direct redeem voucher which integrated with 140 games from a variety of publishers. MOGPlay can be used to buy Facebook Credit with the best conversion rate in Indonesia. Intrajasa received its Indonesian remittance licence in 2013 and has since developed and fine-tuned a remittance system that can be utilised easily by third-parties. With efficient technology solutions allowing them to lower the cost of remittance and provide a service to the Indonesian community at home and abroad. The robust engine and relationships with Banking Networks in Indonesia offers a processing reliability matching what a bank can deliver to their customers. iPay88 is a leading regional Payment Gateway provider in South East Asia which has successfully provided competitive advantage through e-commerce and online payment services to more than 10,000 merchants globally and regionally. Since its inception in 2006, iPay88 has grown leaps in online payments in Malaysia as well in the ASEAN region. iPay88’s first international footprint was set in Indonesia in 2006, followed by the Philippines in 2014. Today, iPay88 is one of the leading payment gateway providers in Indonesia as well as the Philippines. iPaymu offers online payment solutions. The product mix includes ecommerce functionality for retail trade. iPay has integrated tools to ecommerce you need as an online payment tool, with debit transactions, credit cards, and even withdrawals. iPaymu provides a product that is the integration of three separate businesses into one company that is e-commerce business solutions, payment gateway / payment network business and merchant services business. iPaymu is a full service Merchant Service Provider in Indonesia. Kartuku is a premier Third Party Processor (TPP) and Payment Service Provider (PSP), delivering end-to-end, mission critical payment solutions in Indonesia. They build and operate payment systems that process electronic transactions securely, efficiently, and reliably. Kartuku has played a pioneering role in the Indonesian electronic payment landscape since 2001. Kartuku was acquired by Go-Jek in 2017 and is now known as Spots. KESLES Indonesia is a server-based mobile application that offers convenience for members in transaction processes. With each transaction, not only will KESLES members receive attractive offers from participating merchants, they will also earn reward points that can be redeemed for attractive prizes. KinerjaPay provides digital payment solutions to brick-and-mortal businesses in Indonesia and South East Asia regions in order to promote the growth of eCommerce and marketplace in the internet by providing users and merchants with safe and secure shopping experience online. Users may also enjoy the convenience of making online payments of their utility bills, phone topups/data plan, insurance, automobile instalments, and many more. Established in July 2014 by a team of experienced in global technology & management consultants such as Apple & The Boston Consulting Group, Kudo developed practical solutions for marketplace & payment ecosystems in Indonesia. Kudo provides convenience for the people of Indonesia to make e-commerce spending for those who do not have access or do not want to transact online. Grab confirms acquisition of Kudo in 2017. Mandiri e-cash, a joint venture company providing revolutionary digital payment. Mandiri ecash is a debit system linked to mobile phone numbers rather than bank accounts. Users deposit funds at e-cash agents, usually shops or kiosks or transferring from existing bank accounts. The funds can then be drawn upon for transfers and payments. Without an bank account, you are able to withdraw the cash at Mandiri ATM. MatchMove enables companies to offer a fully branded secure mobile wallet solution, increasing revenue and user engagement. MatchMove proprietary Wallet OS™ is built with the vision of strengthening financial inclusion through enabling its Spend, Send, Lend™ capabilities across developed and developing markets. MatchMove is headquartered in Singapore with offices in Vietnam, Indonesia, Thailand, India, Philippines and the USA. Midtrans, previously Veritrans, was established in 2012 with a mission to provide online businesses in Indonesia with a payment infrastructure that is safe, reliable, and fraud-free. Working with reputable banking institutions and payment channels in Indonesia, they support online businesses by facilitating transactions and enabling growth via chat commerce service. Mimopay is a payment aggregator that offers four ways for merchants to receive online payments. First is through telcos: Mimopay works with Smartfren (11.3 million user base) and XL Axiata (68.5 million user base), so subscribers of both telcos can use prepaid vouchers to top up online credits. Furthermore, Mimopay says they can directly do carrier billing with XL Axiata and is in talks to do something similar with Telkomsel (131.5 million user base). MOL Global, Inc. (MOL) is a leading e-payment enabler for online goods and services in emerging and developed markets. We operate a payments platform that connects consumers with digital content providers, telecommunications service providers and online merchants by providing a vast network of payment channels that accepts cash and online payment methods. Their physical distribution network comprises more than 970,000 locations in 11 countries across 4 continents. We also have mobile payment channels, electronic distribution channels that accepts major credit cards and online banking from over 100 banks. M-saku is created for VISA Cardholders to ensure optimum shopping experience by making M-saku application user-friendly, convenient, and secure. As more and more merchants are coming in, M-saku will not only become the new way to shop but also become the preferred mobile application for mobile payment in Indonesia. Labeled as a pioneer in the electronic transaction market in Indonesia, PT ARTAJASA PAYMENT OF ELECTRONICS, a company focusing its services on the technology-based financial sector, particularly in banking infrastructure providers, sees the high demand for effective and efficient transactional services, providing another product and service integrated payment transactions with one another, MYNT. Netzme calls itself a “social payment app”, a payment application that allows every user to perform various financial transaction activities like chatting. The goal is to make the experience of banking transactions easier and more enjoyable. The placement of funds through the Netzme app goes directly to partner banks. Currently Bank QNB Indonesia is a partner of Netzme fund collection and is in the stage of exploring cooperation similar to several other banks in Indonesia. In the future Netzme hopes to become a diverse aggregator of banking services. NICEPAY is an Online Payment Solutions Provider offering an all in one online payment solution, which process thru credit card and transfer. NICEPAY leads market by knowledge of enhanced payment industry and experience of financial solution provider more than 30 years. As of March 2018, OK Pay has now merged all its accounts with Money Polo. MoneyPolo provides alternative corporate and individual banking solutions such as Multi-Currency Accounts, Wire Transfers, Prepaid Cards, and Forex Exchange Services. Omise actually started as an ecommerce platform in 2013, they then did a 180-degree turn and focus on building the payment gateway instead. The company offers a set of APIs and tools that allows merchants to accept payments online. It charges clients on a pay-per-use basis – at 3.65 percent of transactions. OVO (PT Visionet Internasional), a fintech startup that builds a digital platform aiming to simplify your life by providing amazing rewards & deals through our merchant partners, simple payment and smart financial services. In December 2017, Ovo officially announced their partnership with GrabPay in Indonesia. PadiPay is a Payment Aggregator in Indonesia. Currently managing partnership with All Banks in Indonesia, including Transfer, Commerce, and Wallet Payment, PadiPay offers you a wide variety of payment channel as well as flexible arrangement specially designed for your needs. OnlinePajak is currently the leading solution in Indonesia, with 500,000 users. Last year, it contributed 4% of the government’s total tax collection. It launched in 2015. The basic software is free, but it has a premium component with additional benefits for larger companies. Pasarwarga is a marketplace site and has thousands of store networks spread all over Indonesia. It provides over hundreds of thousands of electronic products ranging from gadgets, tablets, notebooks, consumer electronics, hobbies, household appliances and furniture at the best price for all needs. PT Payfazz Teknologi Nusantara (PAYFAZZ) is a financial technology development with an agency-based financial platform that becomes a payment solution for Indonesian people, especially for the unbanked. PayPro is application of financial services and digital payment to easy daily transactions as the payment of a bill electricity, water, phone, the distribution of funds, rechargeable pulse and still many other services. PayTren is a mobile transaction application for various types of payments and purchases that provide the benefits and benefits of every transaction. PayTren system is designed with emphasis on convenience, security and convenience for its users. PayTren currently can be used on all Android and iOS-based smartphone types and will continue to be developed in line with the advancement of digital technology. Sepulsa is a platform for online payment which provides additional advantages for our customer in form of an attractive discount voucher that can be used in a variety of our e-commerce partner’s sites. They provide a range of services from mobile credit and internet data packets across all providers, pre-paid electric credit, Government Health Insurance (BPJS Kesehatan) and Multifinance payment in Indonesia. SerbaPay is an online retailing payment system catered for Indonesia market. It allow users to make payment on any physical goods and digital content online. It provides an easy access payment option and serve as a better option comparing to the current conventional payment method such as cash, credit cards, cheques and etc for Indonesia netizen. PT. Bimasakti Multi Sinergi is an IT-based National Company in the field of Payment Switching Provider. The company has experience in electronic payment since 2007 and continues to innovate to provide the best service to customers in the form of data center management development, interconnection between various biller servers with synchronization and uniform message format, to the development of payment point application for bill payment, reservation and airplane, train, hotel, tour and traveling tickets. A provider of digital infrastructure and technology services that innovate your business with services such as mobile transactions, digital advertising and also help the integration of online payments to more than 350 merchants which cooperate with big banks such as BCA, BRI, Bank Permata, BNI, MayBank and others. Gift Card Indonesia is the leading gift card and loyalty company based in Jakarta, Indonesia, founded in 2012. They provide end-to-end services in loyalty and gift card industries, including gift card processing and distribution through our corporate sales and retail partners. Tapp provides an innovative peer-2-peer commerce exchange network, which allows people without bank accounts or credit cards to locate mobile point of sales, in order to pay for goods & services via mobile in a super cool way. Instead of paying with cash or debit card, customers can now use T-Cash with a cellular phone to pay for various services and goods and to transfer money with T-Cash. Toko Pandai implements a B2B business model aimed to help retailers and distributors by providing cash, customer relation, and store management features that opened access to various digital financial services and products. TrueMoney was founded in 2007 in Thailand and is a business unit of Charoen Pokphand (CP) Group. TrueMoney is one of the top three electronic money used in Thailand, and other parts of South East Asia. In September 2015 TrueMoney also expanded to Indonesia under the umbrella of Ascend Group, through PT. Witami Tunai Mandiri. uNIK is a social banking mobile application that provides server-based electronic money services and smart-service services. Through uNIK applications users can perform banking activities such as saving, paying bills, giving pocket money, the contents of pulses, to transfer to fellow users. This service was created by PT Espay Debit Indonesia Koe (EDIK) in cooperation with PT Square Gate One (SGO), and PT Successful Cross-Payment (PLUS). UniPin is a startup payment has the best alternative in overcoming the physical game voucher dilemma. After four years, UniPin is here to make it easier for online gamers to get credit game without having to use physical vouchers that are considered very troublesome. Veritrans is an online payment gateway, supporting Indonesian e-commerce. Veritrans processes payments through credit card, direct debit, bank transfer, Indomaret and digital wallet. Wallezz was developed to be a solution to accelerate the electronic transaction and financial inclusion in Indonesia. Wallezz was created to serve many transaction model, digitalize many supporting part and become a solution to make electronic payment more comfort to people arround Indonesia. Since mid 2015 Xendit’s team has focused on making an impact in the world by making the process of sending money simple and userfriendly. Our goal is to make easy payments, for friends, family or businesses. We’ve been talking to people from every continent and from every walk of life, trying to understand how we can use our knowledge of payment technology infrastructure to build something that gives real value to our customers. XL Tunai is a name of XL Axiata’s electronic money service (e-money) product. With XL Tunai, XL Axiata customers can conduct financial transactions using mobile phones. The types of transactions that can be done with this service include to purchase XL credit,bill payment, shopping in store, online shopping, and remittances both from domestic and abroad. PT Bimasakti Multi Sinergi is an IT-based company in Indonesia, especially in the business of micro-payment, ecommerce and travel which constantly innovate and develop on the technology and service side, which is one of the company’s strategy in line with an increase in FinTech’s business in Indonesia in particular. Deal-POS is a cloud based point-of-sale ( POS ), inventory and accounting software for your business. Indonesian startup DealPOS instead wants to push point-of-sales systems onto the web – and the interface onto any tablet or iPad. Jempol Kios was established since 2007, under the auspices of PT Mitra Distribusi Utama, which is a modern channel aggregator / switching from Telco operators and payment points in Indonesia. Moka is a mobile Point of Sale (POS) technology company based in Jakarta, Indonesia. Moka provides end-to-end POS and payment solution that empowers small and medium businesses in Indonesia to sell and grow. Olsera is a creative solution that helps you design and build online stores, while presenting Point Of Sale (POS) to your smart phone or tablet, with every convenience that today’s technology can bring. Pawoon is cloud-based Point of Sales (POS) application for Small to Medium Enterprises (SMEs). Pawoon help SMEs becoming more efficient and productive in running their business, by providing a platform that gives them the tools to thrive in the current era of connected commerce. Akseleran is an integrated crowdfunding portal in Indonesia. They connect startups, start-up businesses and SMEs who need capital to start or expand their business with people who have the funds to invest in these businesses, in loans or equities. Akulaku is focused on e-commerce and online financial services in Southeast Asia. They have established offices in five countries, providing localised services to users, including online shopping and instalment. Akulaku is the first ever online instalment shopping mall. Amalan is a technology-based company offering mediation services between the debtor and the bank. The goal is that debtors can get discounts or installments with lower interest for their debts that have already overdue. Amalan only helps their clients who are in debt and credit card debt with minimum nominal of Rp10 million. In 2010, Amartha was founded as a Micro Finance company with the mission of connecting businesses in rural areas who have difficulty in getting business capital. Now Amartha has grown into a fintech peer to peer lending to connect directly to micro entrepreneurs with online financiers. Ammana is a dedicated sharia P2P lending service that brings you to the owners of SMEs who need business loans. The difference is that Ammana focuses on cooperating with Shariah cooperatives or Baitul Mal wat Tamwil (BMT) as a lending institution. The loan applicants on their platform are obtained from sharia cooperatives who work with them. Artawana is a lending and borrowing platform with collateral for everyone. Artawana was established in 2016 by a group of professionals with strong financial and technological experience in leading companies in London, Zurich and Singapore to disrupt financial inclusion with technology and enable everyone to achieve financial security. Awan Tunai is a digital financial solution that wants to realize Financial Independence for the People of Indonesia. Awan Tunai is partnering with mobile telecommunication providers and several major companies. Cashwagon is a service provider of financial technology. They provide access to financial technology solutions in Indonesia. With a presence in several Southeast Asian countries, Cashwagon’s main focus in Indonesia is on consumer financing online, providing access to online cash loans, complicated approval procedures, or long-term lending. Cicil aims to answer Indonesia’s financial inclusion issue among university students. For the time being, Cicil.co will enable students to purchase products to support their study, such as computers and laptops. But in the future, the startup plans to also include tuition fee. In 2016, Cicil received seed funding from East Ventures. CROWDE is a crowd-investing platform that enables farmers to raise their working capital from a crowd-investor with a profit-sharing scheme. CROWDE aims big to increase farmer’s welfare by empowering farmers to be agropreneurs, creating an efficient agriculture ecosystem, and be the trusted crowd-investment platform with the spirit of mutual cooperation. Crowdo is a regional fintech company offering a full portfolio of alternative financing solutions across peer-to-business lending and securities / equity crowdfunding. Launched in 2013, Crowdo is one of the region’s largest and fastest growing platforms with over 38,000 members, 3500+ projects, and market presence in Singapore, Indonesia and Malaysia. DanaBijak is an Indonesian-based digital financial technology start-up that provides unsecured microloans to underbanked Indonesians up to US$250 and 30 days as the maximum length of a loan. The mission of the company is to provide consumer finance and give access to financial services to those who are left aside by banks while leveraging on technology and smart data. Dana Cita is on a mission to democratize access to higher education in Indonesia. Through our lending platform, students pursuing Diploma, Bachelors, Masters, and non-degree short-courses can obtain affordable loans to fund their tertiary education and training. We are the first in Indonesia to offer financing for full degree programs and are backed by Y Combinator. Dana Merdeka is a technology-based online loan facility developed by PT. Intekno Raya which is a legal entity established under the Law of the Republic of Indonesia. Established as a Peer-to-Peer Lending Service Borrower under the supervision of the Financial Services Authority (“OJK”) in Indonesia. Danakini is a business of Dana Kini Indonesia Pt (DKI) which is part of Kawan Lama Group – a leading national business group with more than 300 branches in 36 major cities at 25 provinces in Indonesia. Established on September 15, 2017, is engaged in technology-based financial services, bringing together Fund-Owners and Borrowers focused on consumer financing (eg shopping for home and lifestyle items), microfinance financing, and employee cash loans. PT. DanaKita Data Prima is a technology-based lending and borrowing service provider. The Fund is supervised and has been registered with the Financial Services Authority (OJK) since 27 April 2017. Doctor Rupiah presents innovative financial services in Indonesia to help people get small cash loans without asking for lots of documents, to be with collateral, go through long process and complicated procedures, once you submit online. Doctor Rupiah operates under the auspices of PT Digital Solutions Indonesia. A fintech p2p lending company named PT Indo Fin Tek. We are registered under Otoritas Jasa Keuangan P2P regulation. At Dompet Kilat, we helped the underserved and the small enterprises to get the funding access. Dynamic Credit is an innovative asset management firm specialized in alternative fixed income. We believe that a better matching of savings and credit in an economy leads to a more prosperous society. Founded in 2003, Dynamic Credit has offices in New York City, Amsterdam and Jakarta. Esta Corporations was established in 2011 and till now Esta continues to expand through its business in various sectors, such as property, finance, and culinary. By 2017, Esta Kapital Fintek stands as a technology finance company under the auspices of Esta Corporations with the concept of peer to peer lending. Findaya is managed by PT Mapan Global Reksa, a company with a mission to improve access to financial aid for low income communities in Indonesia through technology. The Findaya team consists of technologists and microfinance experts. Finmas (PT. Oriente Mas Sejahtera) aims to be the leading peer-to-peer lending platform offering fast and secure credit. They aim to provide equal access to affordable credit for everyone. Founded by a team with international working experience in the largest tech companies in Silicon Valley (eBay, Skype) and China (LU.com). PT. FINTEGRA HOMIDO INDONESIA presents a solution of financial needs for business actors through the development of financial technology. As part of the financial world in the digital age, FINTEGRA officially formed since November 2016. GoCash is an application launched by PT Teknologi Quantum Indonesia in 2017. Only by providing ID card, you can apply for a loan of up to Rp. 1,000,000. PT Teknologi Kuantum Indonesia combines powerful risk management, machine learning, and big data mining technologies to create high-quality mobile application implementation and technology. Gradana offers cash advance loans of 24 to 36 months with no additional interest. The value of the advance has been agreed with the developers who become partners and informed in advance. Gradana guarantees the buyer gets the same house price according to the pricelist. Once the DP is paid off, the buyer will easily get a mortgage facility with a credit record of previous Gradana. iGrow is a platform that allows you to invest in agriculture and monitor it online. They connect three important parties in the agricultural industry: investors, farmers, and buyers of agricultural products. Indodana is a fintech platform established by PT Artha Dana Teknologi to provide technology-based financial loans services established since November 2017. Indodana was established with the aim of providing financial services for people who do not get banking services. Investree is a financial technology company in Indonesia with a simple mission: as an online marketplace that brings together people who have funding needs with people who are willing to lend their funds. Not only do we increase our lenders, we also make loans more affordable and accessible to Borrower. JULO is a digital lending company that is revolutionizing access to financial products for millions of new consumers in Indonesia. The Company has developed the first digital data-based credit guarantee and risk assessment platform to process consumer loan applications and determine their credit worthiness using its mobile app. Karapoto is an information technology-based finance company (Fintech) that is present to reach and provide peer to peer financial services to the bottom pyramid community for the achievement of the inclusive financial program launched by the government through Bank Indonesia. KIMO is a technology-based company that digitizes financial inclusion by bridging capital financing from investor to beneficiary safely, easily, and quickly. This is our background in helping mobile credit sellers acquire capital to expand their businesses. KlikACC is a service that can connect people who need loans with investors who have more funds. You can present loans ranging from Rp1 million to Rp50 million for a maximum period of 36 months. KoinWorks is a P2P Lending service that allows you to become an investor with a capital of only Rp100,000. In addition to being able to choose where to borrow money invested, you can also monitor in real time how the performance of debtors in returning the loan money. Kredit Cepat is an short-term online lending company that aims to provide cash in the shortest possible time without any collateral. They disburse loan funds into your bank account within 24 hours. Kredivo, whose parent company FinAccel is headquartered in Singapore, launched in Indonesia last year to tackle a fundamental problem ecommerce startups were facing: customers didn’t fully trust online shopping. MEKAR Exchange is Indonesia’s first Online Peer to Peer micro lending platform developed to meet the needs of Indonesian micro and small entrepreneurs and lenders. Founded in 2016, Modalku is a new marketplace for peer-to-peer (P2P) lending to give Indonesia’s small and medium enterprises (SMEs) greater access to funding by means of loans pooled from crowdfunding. 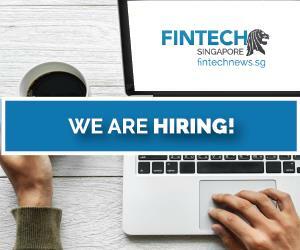 This technology-based loan technology platform in Indonesia since December 2016, under the control of the parent company Hadoop Fintech (Hong Kong) Limited, a limited liability company incorporated in Hong Kong. Pinjam Indonesia is an Indonesian financial technology company that provides an online platform for immediate cash solution,without a face-to-face process by offering pick-up and delivery services. Our first product is an online pawnbroking service. Qreditt is a short-term borrower of short-term borrowing services through a direct auction mechanism between the Borrower and Lender to result in a fair borrowing agreement for the Borrower but remains favorable to the Lender. PT. Prime Relation Indonesia (‘RPI’) is a legal entity established under the Law of the Republic of Indonesia on April 5, 2017. RPI is a Peer to Peer Lending marketplace platform that is a platform that bridges parties who want to lend (Funders) to those in need loan (Borrower Dana) in order to perform a loan and borrowing agreement in rupiah currency directly through electronic systems using the internet network. Rupiah Plus develops credit software which provides secure and convenient loans to its service users in Indonesia. Its features includes risk management, supports technologically driven financial innovation, financial position in mobile Internet, and builds secure, convenient, easy and transparent users who need loan. The company is based in Jakarta Barat, Indonesia. PT Tangbull Tech Indonesia is a corporate legal entity that positions itself as a platform by providing services as a liaison between the parties who provide loans with lending recipients by means of funding from individuals, organizations, or legal entities to individuals (peer to peer lending). Taralite is a financial technology startup that focuses on lending money to the unbankables. They provide affordable loans that will help Indonesians to live up to their potential and enjoy memorable moments in life such as marriage and education. With interest rate from 0.99% each month, we are ready to serve you from all across Indonesia and revolutinize Indonesia’s underdeveloped loan markets. TunaiKita is Indonesia’s first technology company to develop and deploy a ‘lending robot’ that uses the data you provide through our mobile app on your smartphone and online accounts. Their lending robot evaluates your user profile and assigns you a credit score with which you can apply for cash loans. Tunaiku provides loans online without collateral. Supported with advanced technology and data analytics, Tunaiku is able to serve very quickly (24 hours) and with easy requirements. Beginning operations in 2014, Tunaiku became a non-collateral loan product owned by a multinational company called TOLARAM. Uangteman is part of PT Digital Alpha Indonesia and Digital Alpha Group Pte Ltd. They provide instant short-term microcredit to Indonesian consumers. At present, we offer unsecured loans of a maximum of 6 million Rupiah for a maximum of 30 days. Akunting Mudah (which translates to “Easy Accounting”) is another cloud-based accounting software. Akunting Mudah helps users prepare and analyze their financial statements. The firm claims users don’t even need to understand the basic theory of accounting to use the product. Jojonomic is the leading mobile expense reimbursement solution in South East Asia. They are an SaaS (Software as a Service) B2B (Business to Business) Fintech (Financial Technology) company, serving prominent enterprises throughout Indonesia. Atur Duit compares credit cards, loans, broadband and insurance by providing consumers with the convenience of online comparison and the benefit of telephone-based advice. Bos Tunai is a provider of financial services and information technology loan seeker platform in Indonesia. They offer a platform for comparisons of loan and installment applications without credit card in Indonesia. CekAja.com is the finest and most comprehensive financial store in Indonesia that provides loan, credit card, investment and insurance services to over 20 million customers, and is committed to providing access to financial services throughout Indonesia. Cekpremi.com is an online portal that provides information and comparison of various insurance products. Cermati, an online portal for finding and comparing financial products in Indonesia. Cermati’s goal is to help Indonesians research, compare, and choose financial products online in an effort to save them time and money. Through Disitu, lenders (credit companies) compete to provide the best of their financial products, allowing consumers there get the best financial products. With various integrated systems financial institution, we give the consumer something different, the actual price of each product and a real-time process. Duit Pintar was founded with the simple aim to help Indonesians make better financial decisions. A portal helping consumers compare loans, insurance and credit cards. PT. Eragano Agritech Indonesia develops mobile application for farmers with automated farm schedule, farm supply ecommerce, crop insurance, and micro finance services. Eragano aims to help them improve their livelihood with an end-to-end solution in a form of a mobile app. Farmers can use the app to access information related to agriculture, get connected to microloan facilities, and even sell their products to hotels and restaurants through an online marketplace. We can help you compare mortgages, personal loan, and Home loans (KPR), so try HaloMoney.co.id easy comparison process and within minutes you can compare quotes that cover the things that are important to you. Founded on March 26, 2016 in Serang, Banten, Kredibel is a site that can identify whether an online store is potentially fraudulent or not, based on complaints and reports of users who have transacted with the online store. Our mission is to build a safe online shopping ecosystem. KreditGoGo provides convenience to the people of Indonesia to get the right financial products as needed with the process easy, fast and secure. KreditGoGo was established in 2014, with technology system and has worked with the finest legal corporations (banks / multifinance) in Indonesia. PasarPolis Indonesia is an Indonesian Insurance Portal and Aggregator established in 2014. Pasarpolis vision is to become the number 1, most trusted and independent insurance price comparison in Indonesia. Pilih Pintar strives to provide a complete list of credit cards and their specifications in Indonesia and how to easily compare which credit cards are most suitable for your credit card users. PremiKita.com, the business name of PT Premikita Indonesia, was established and registered in Indonesia on March 21, 2011 by a team of insurance experts who wish to provide an insurance product comparison facility to the vehicle owner following the purchase of the product through a single connection. RajaPremi is an online portal that provides information and comparison of various insurance products. RajaPremi is focused on financial services that provide various auto and personal accident insurances for Indonesian market. Home Ownership Loan (KPR) is a long-term commitment. SikatAbis.com is a home loan comparison site from various banks, making you easily choose the cheapest mortgage. TaniHub is an Indonesian Agricultural Ecommerce that addresses supply chain problems and distribution of agricultural products. Through technology, TaniHub connects farmers with markets to enable farmers to sell agricultural products at a fair price and sustainable quantity. Asuransi88.com is the most comprehensive web site for insurance products in Indonesia . They partner with certified insurance agents and leading insurers . Their aim is to ” Help you ” find the right product at the best price, while saving you TIME and MONEY. ASURANSIKU.id currently managed by PT. Artha Bina Bhayangkara (ABB Insurance Broker) is one of the companies engaged in the field of Insurance Brokers filled by Insurance Practitioners more than 20 years old and has obtained operational license number KEP-241 / NB.1 / 2015 issued by the Service Authority Finance (OJK). BIMA is an insurance tech player that uses mobile technology to disrupt the global insurance industry and fuel financial inclusion. Cekpremi.com is an online portal that provides information and comparison of various insurance products such as: car insurance, health insurance, personal accident insurance, property insurance, life insurance, and travel insurance. With online and telephone service, Cekpremi is ready to provide the best insurance product recommendations to suit your needs. We are a technology startup that engages in the Indonesian financial technology area. We are based in Jakarta and we’re founded by ex-silicon valley engineers. Our vision is to use technology to make financial information more available and more useful to everyone. Futuready.com is an online insurance supermarket. It is an initiative and a subsidiary of AEGON, one of the world’s leading providers of life insurance, pensions and asset management based in Jakarta, Indonesia. Founded 2016| Premiro.com is an independent online service provider that lets you compare different insurance products provided by our insurance partners. Premiro managed under PT Mitra Ibisnis Terapan (MIT),an insurance brokers based on technology that is fully owned by PT Mitra , Iswara & Rorimpandey , leading insurance broker that has stood for more than 40 years . We are uniting the power of millions of low income families to provide them with better access to goods and services. We do this by recruiting local entrepreneurs and local leaders to facilitate ordering, payment, and delivery for their neighbours using our technology. We split profits with the entrepreneurs, so the local economy could continue to thrive. EthisCrowd.com is the world’s first Real Estate Islamic Crowdfunding Platform. Our community of 20,000 ethical and Islamic crowd-investors and donors from 25 countries provide funding for Social Housing development projects in Emerging Indonesia. GandengTangan is a collaborative venue for business owners who need capital with investors seeking to safely and transparently impact social. Through short-term investment, GandengTangan is present to bridge the two in order to join hands to create a good impact for Indonesia. Kapital Boost is all about growing communities. Whether it’s helping small businesses grow big or protecting the social welfare of less-privileged communities, our Singapore-based hybrid crowdfunding platform allows our members to invest or donate in a way that is ethical and Shariah-focused. Companies formed from one of the teams incorporated in the Code4Nation community who want to help farmers in Indonesia sell their commodities better. Our greatest hope is that people can buy food commodities directly from farmers. WeCare.id is an online crowdfunding platform which pools the fund for patients who can’t afford their medical bills, enabling them to access a decent, optimal, and effective healthcare treatment. Wujudkan is a crowdfunding platform for Indonesian creative projects that was launched in 2012. Wujudkan.com accepts projects that fall in the 15 categories of creative economy. Projects are ranging from feature films, short animations, book publishing, architecture, research, documentaries, cultural events, etc. Bitcoin.co.id is the Biggest Indonesia Bitcoin Exchange that act as backbone for the entire finance ecosystem in Indonesia that implementing cryptocurrency’s technology in payment system and remittance business. INDODAX is the Largest Indonesia Digital Asset Exchange that act as backbone for the entire finance ecosystem in Indonesia that implementing public blockchain technology. Formerly knows as Bitcoin Indonesia. It has been serving Indonesia and South East Asia since 2014. Luno is a leading global digital currency company with a team of over 40 technology and finance experts, operating across several countries and continents. Our products and services make it safe and easy for people and businesses to store, buy, use and learn about digital currencies like Bitcoin. We want to make using cryptocurrency as easy as getting bottled water. At Pundi X, we seek to bring cryptocurrency to the next billion users and will help increase the value of cryptocurrency for all. Pundi X team operates globally with offices in Jakarta, London, Taipei, Shenzhen and Singapore. Quoine is an advanced Bitcoin trading platform offering margin trading and algo trading across a number of currency pairs.